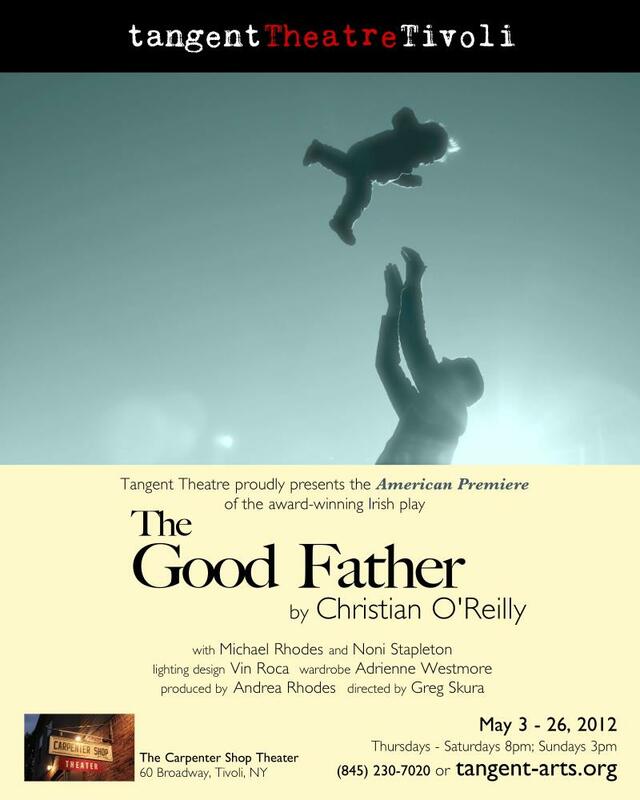 To learn more about our productions and our NEWvember new plays festivals, please view the Theatre drop down menu above. 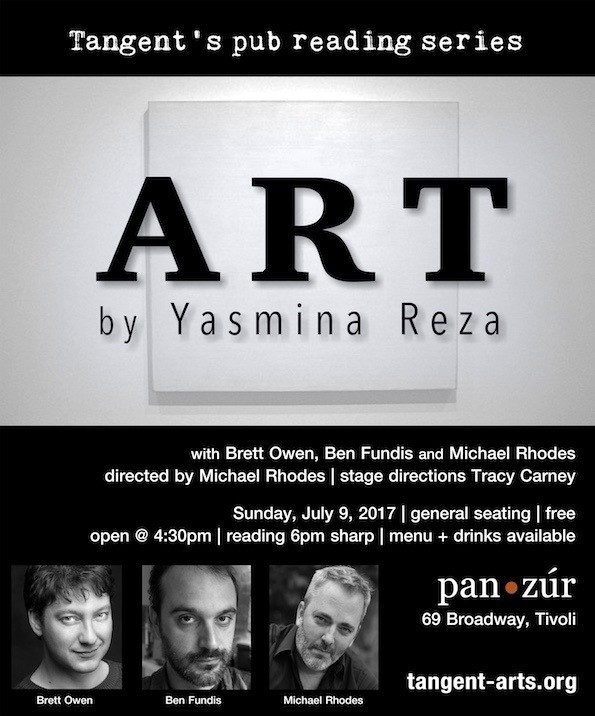 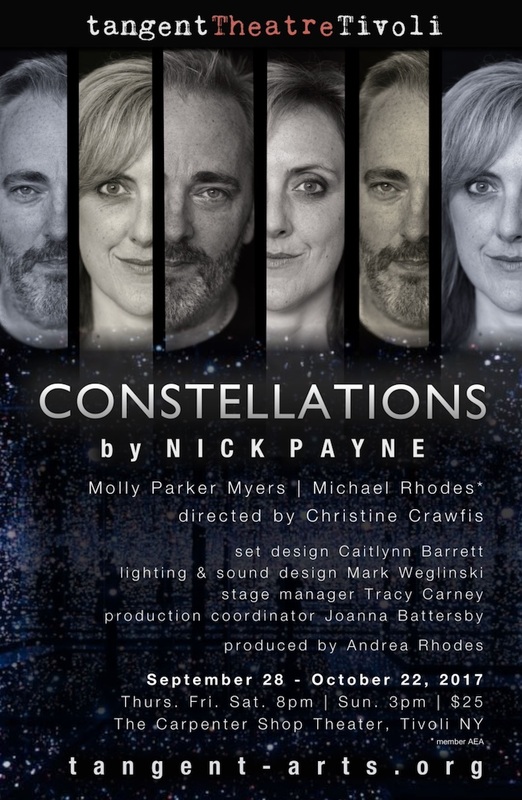 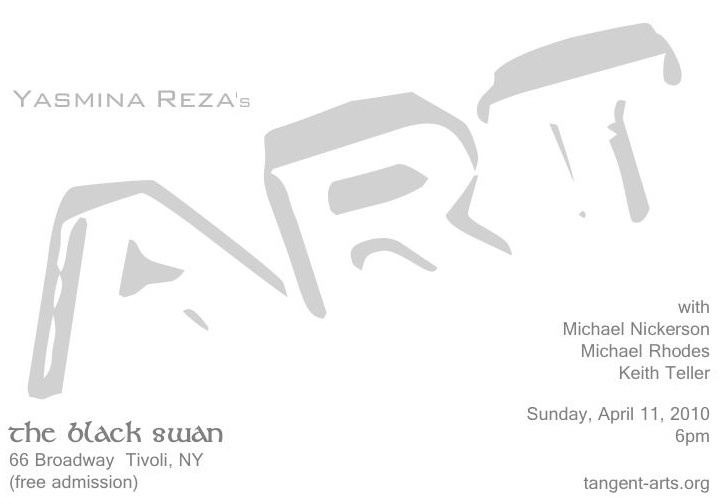 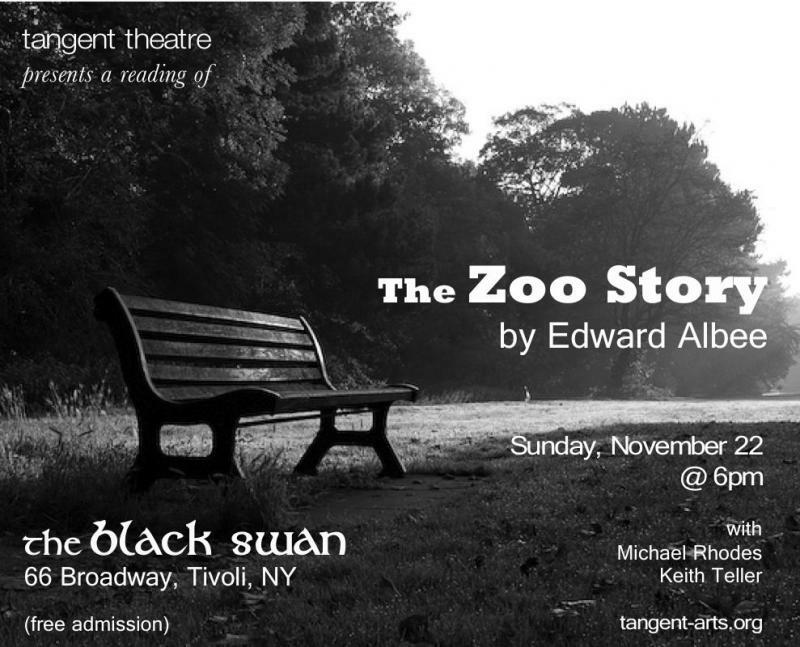 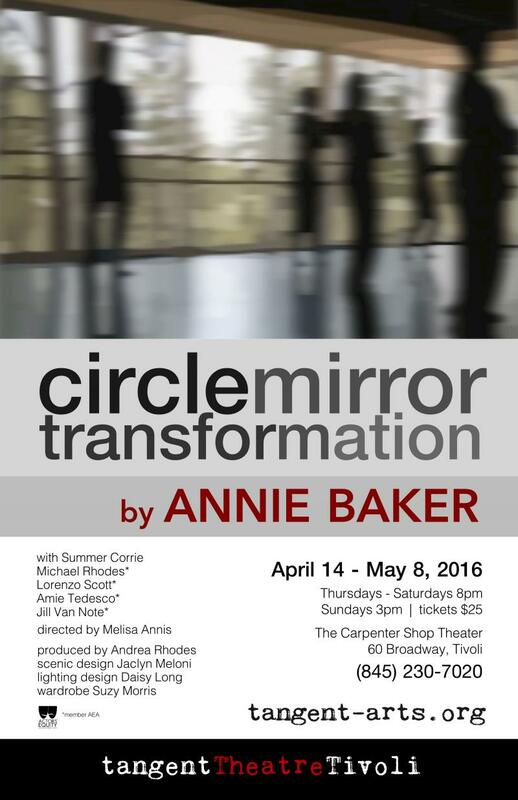 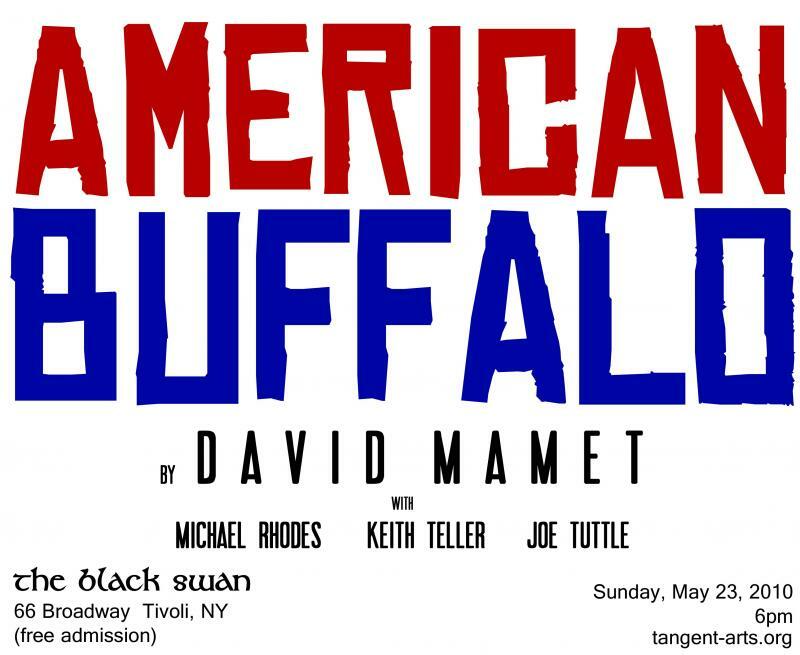 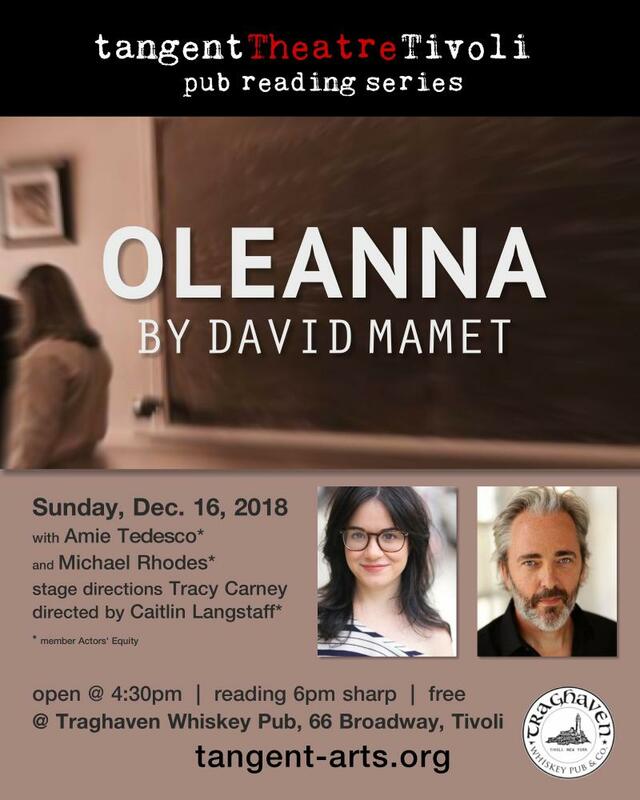 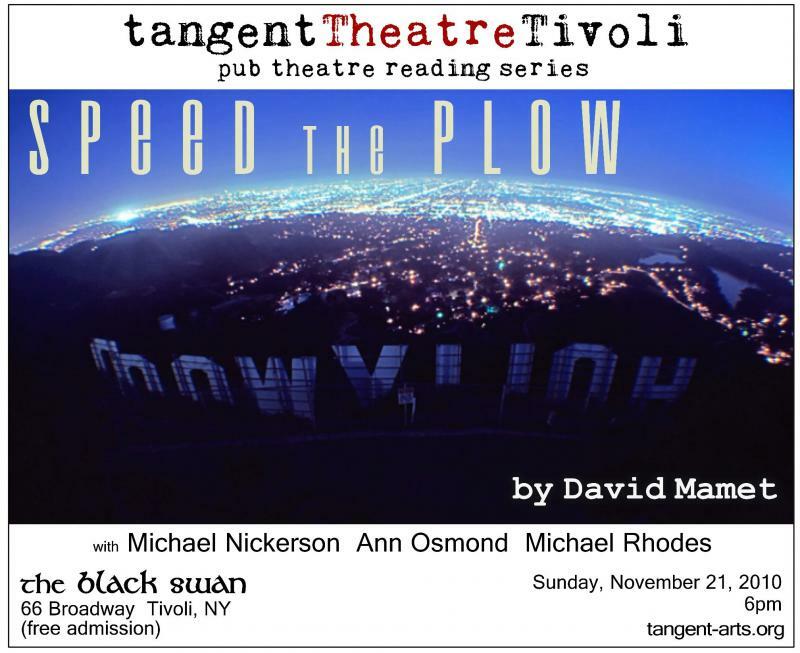 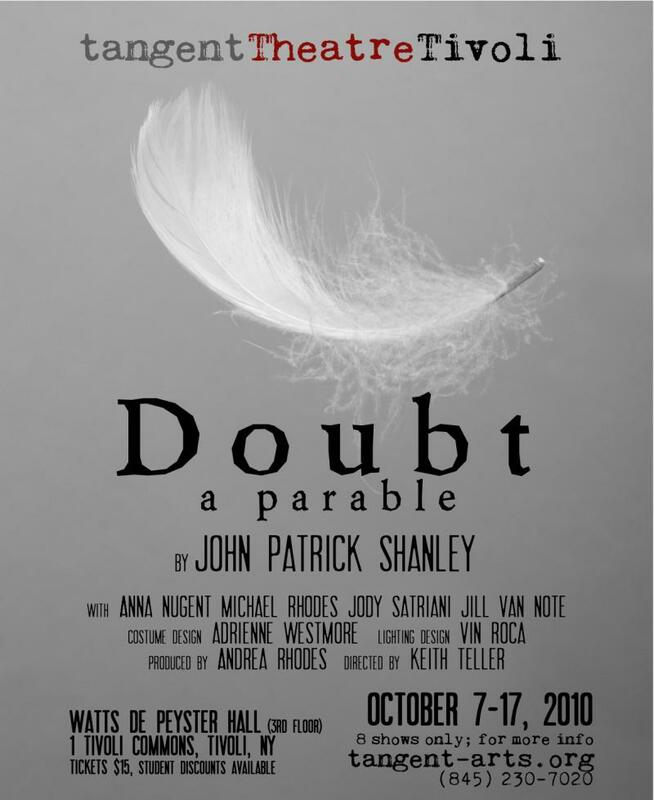 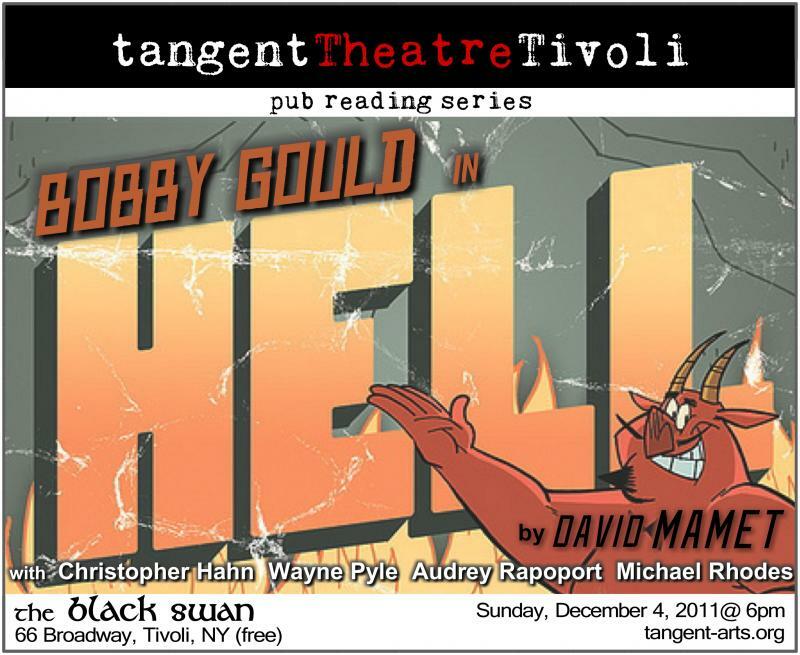 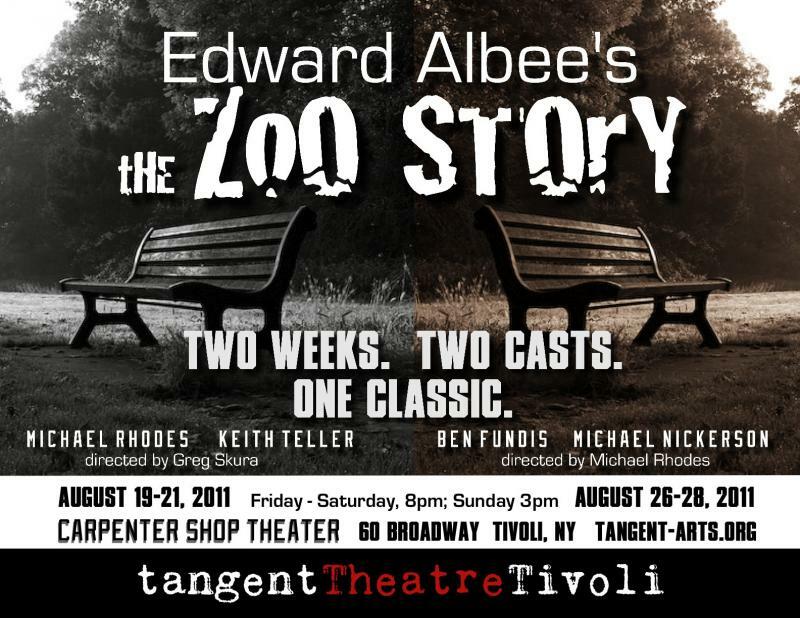 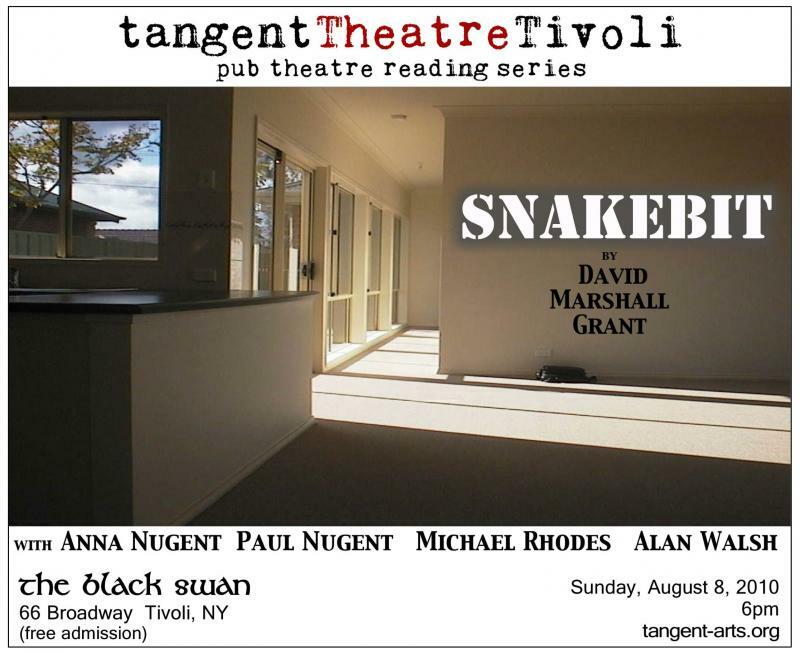 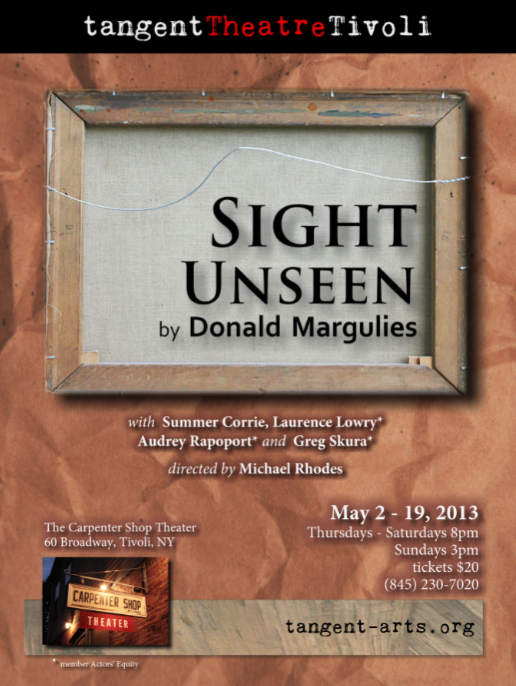 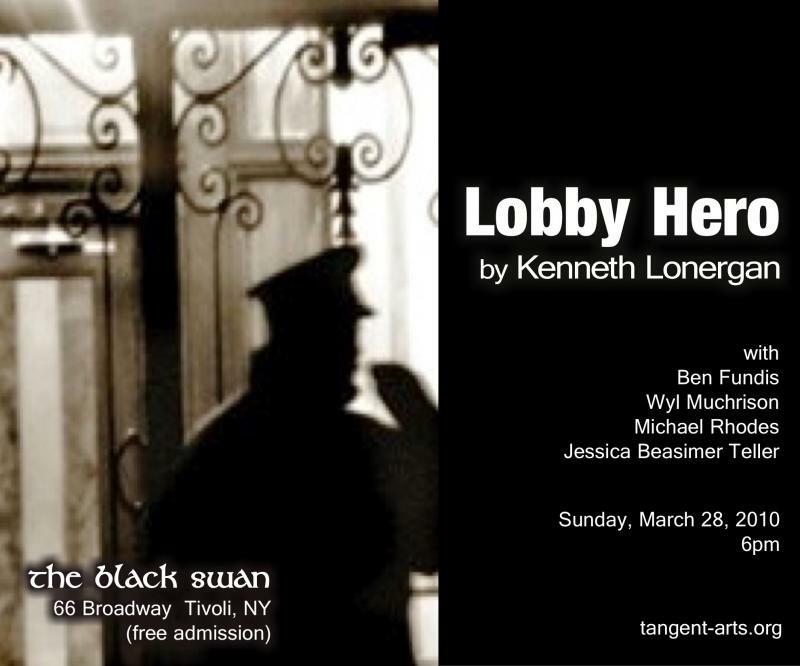 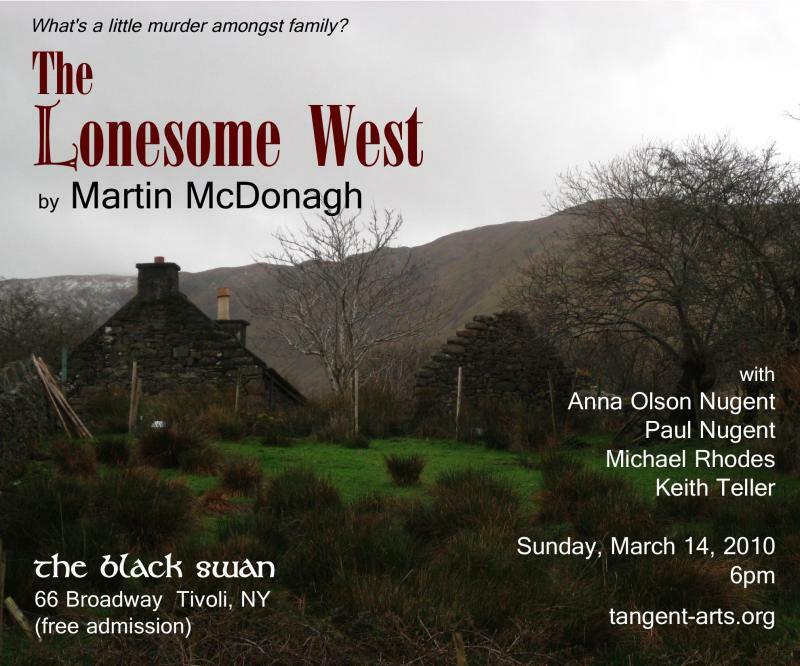 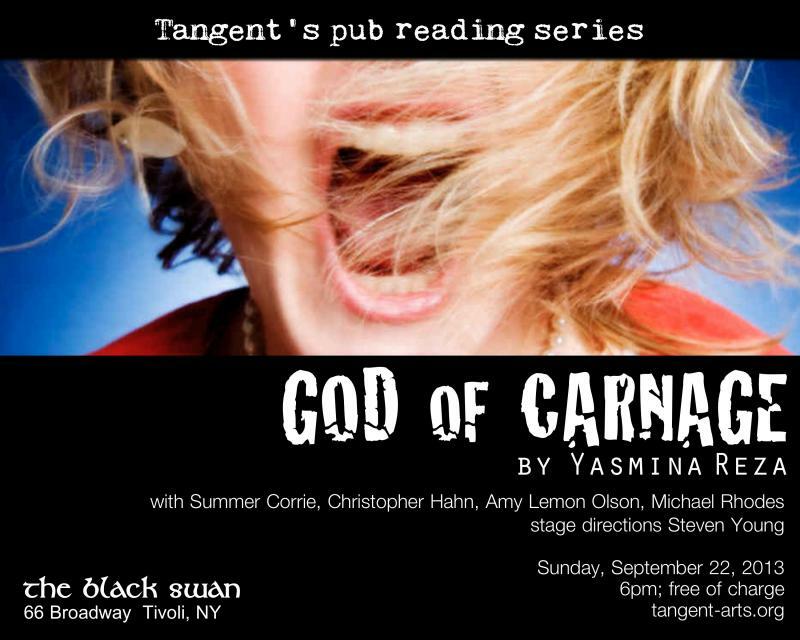 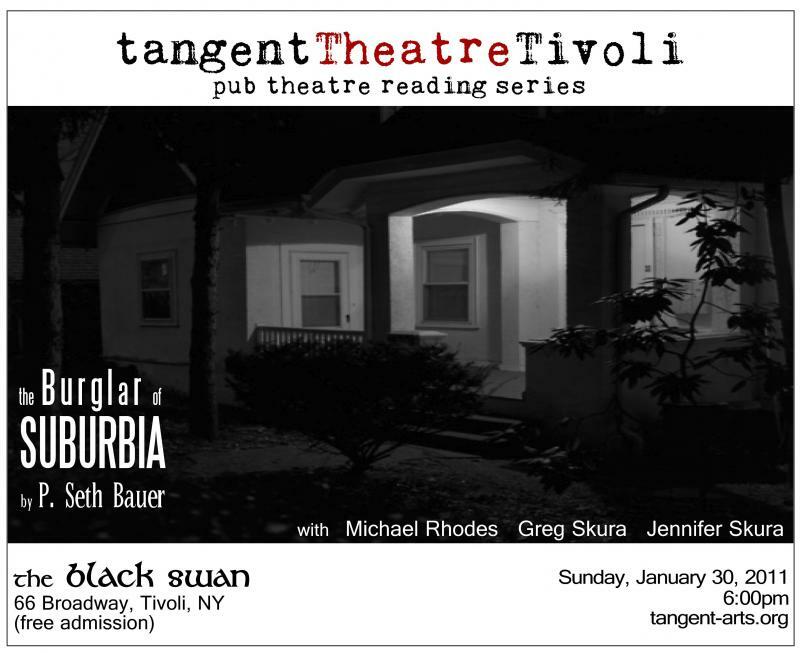 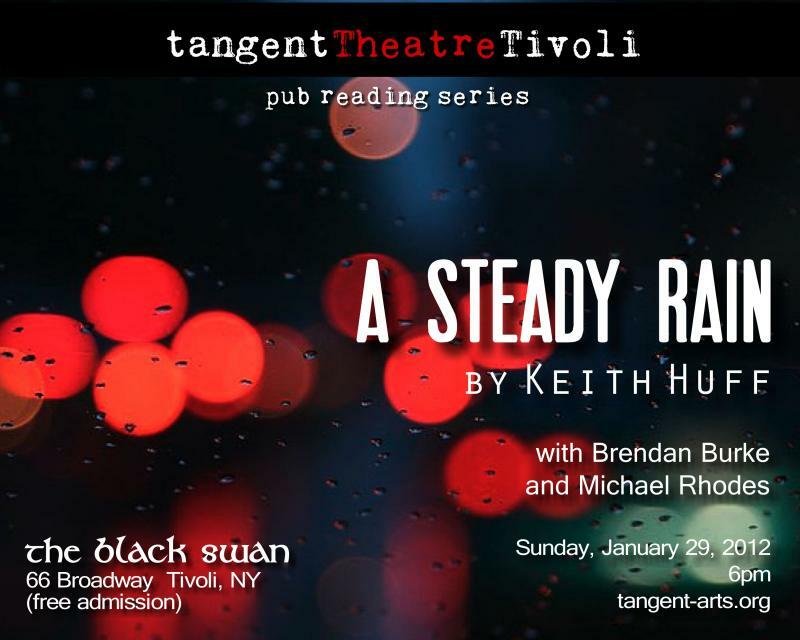 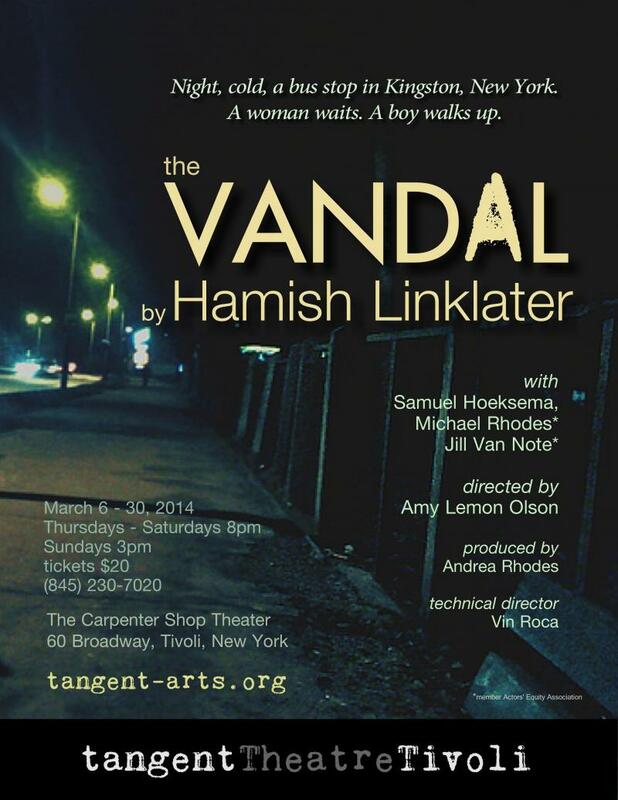 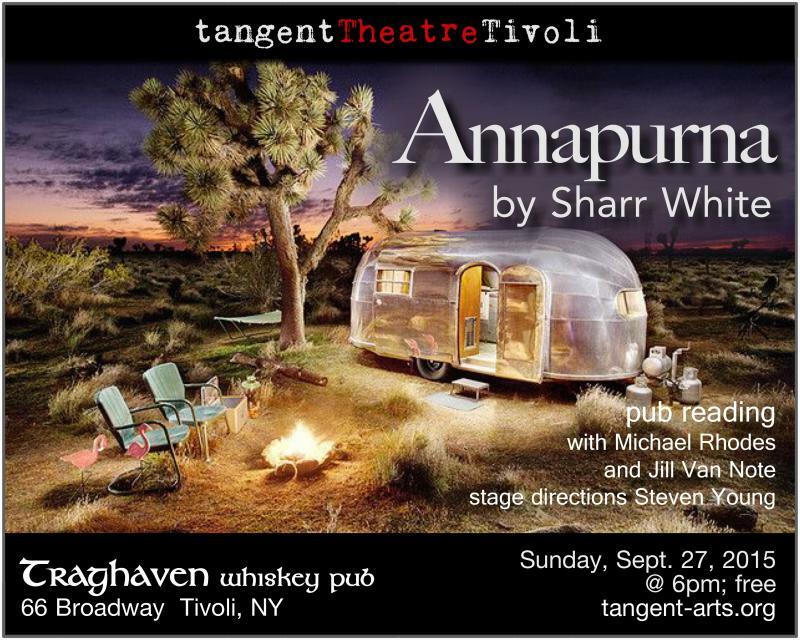 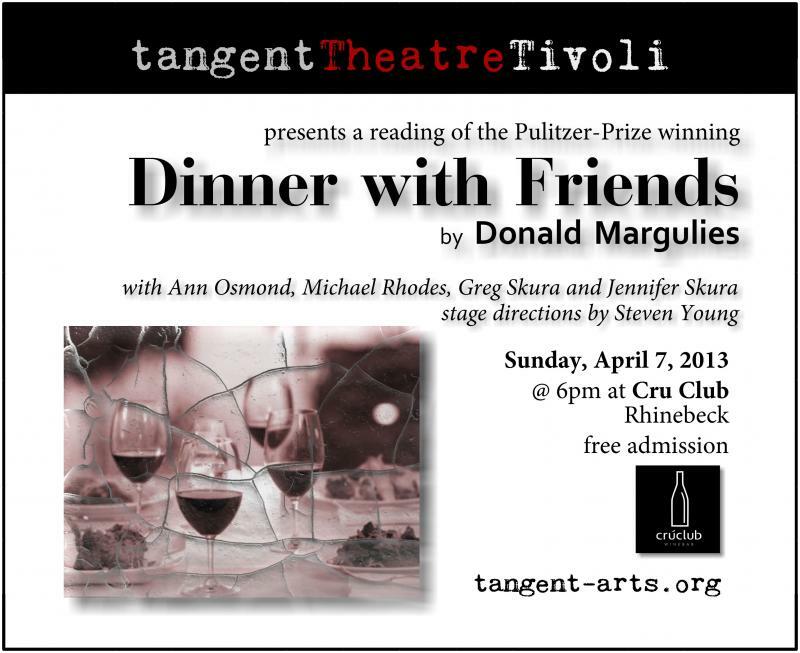 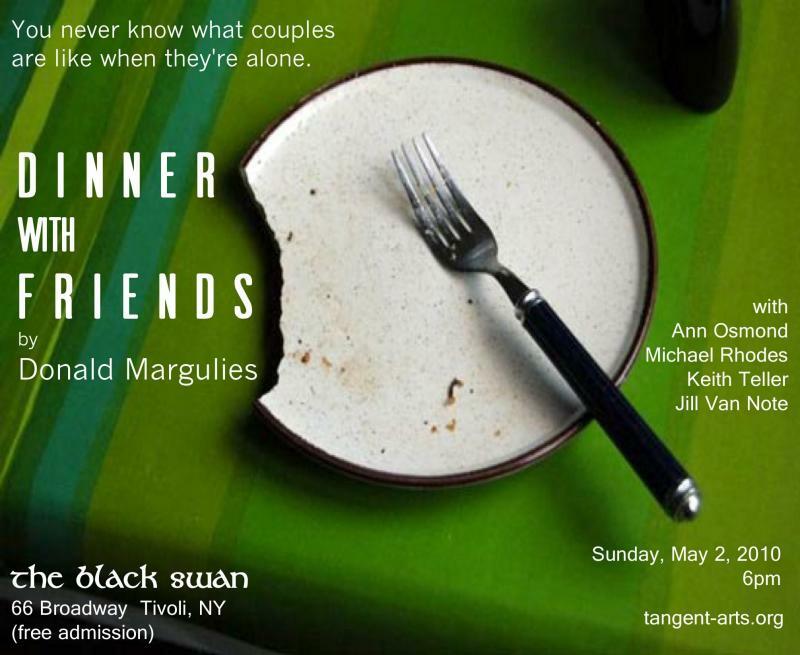 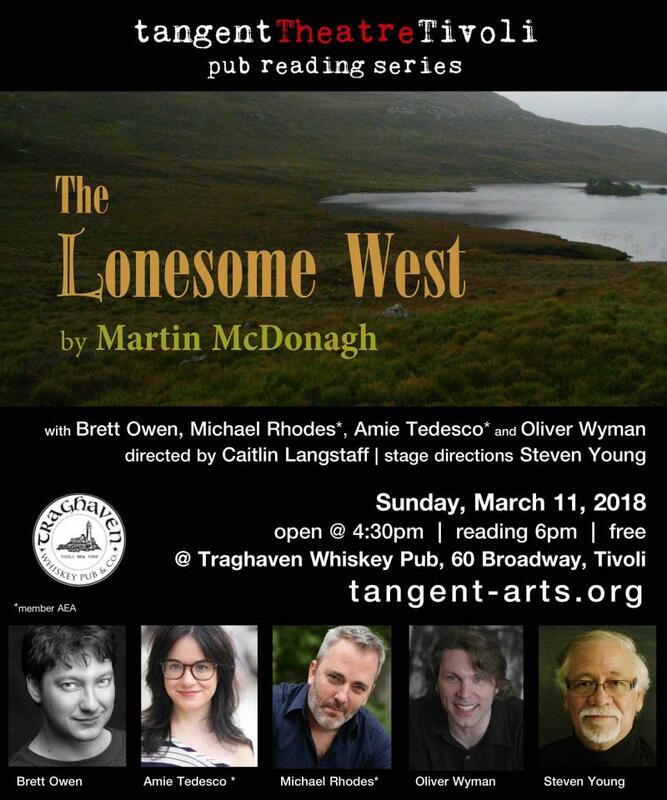 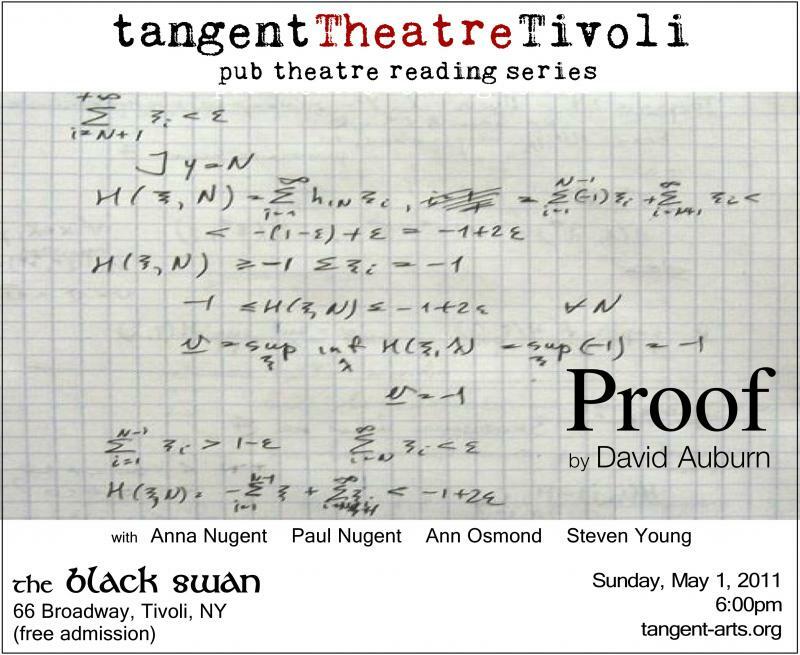 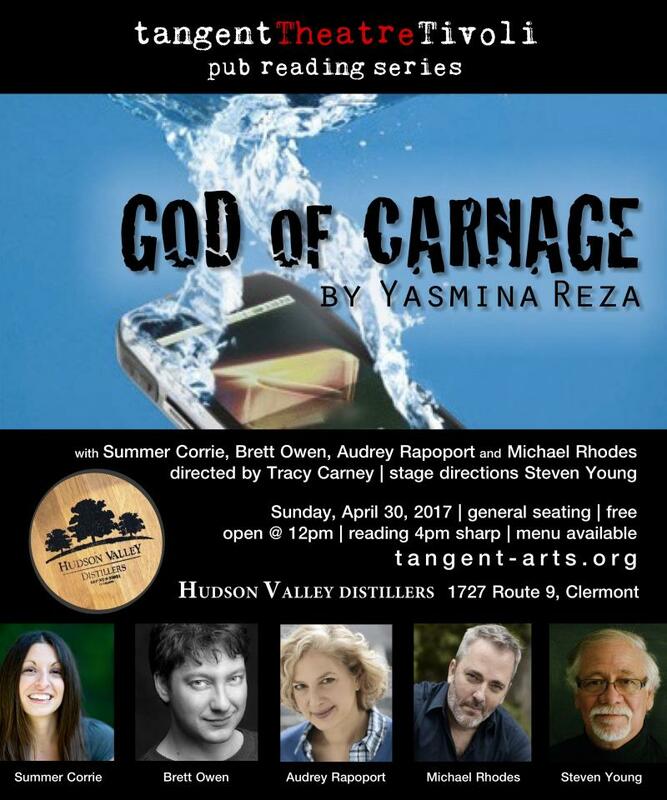 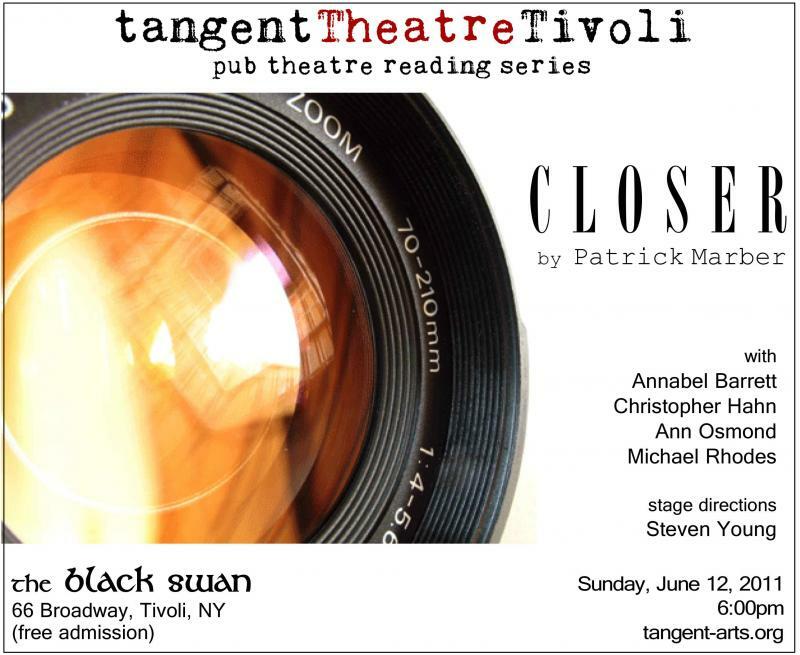 Tangent Theatre is a professional company based in the Hudson Valley and founded in New York City in 2000, by Dutchess County natives Andrea and Michael Rhodes, along with Poughkeepsie-based Keith Teller. 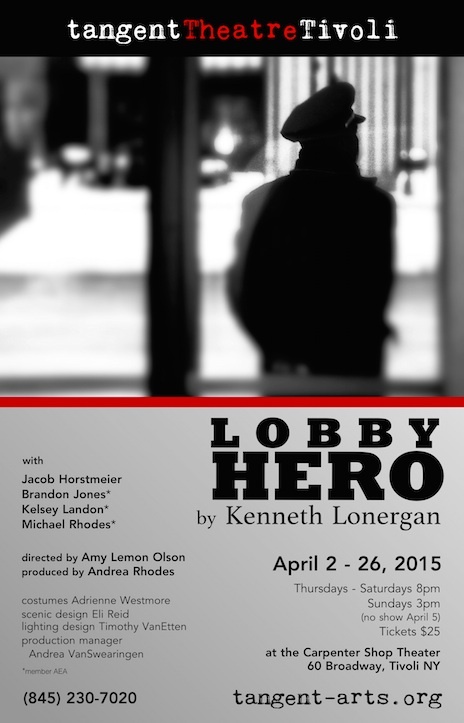 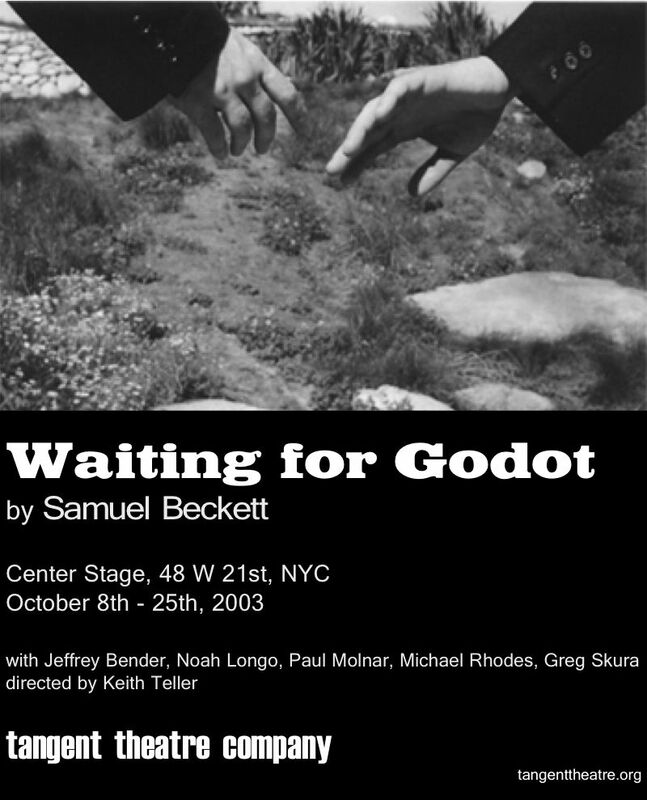 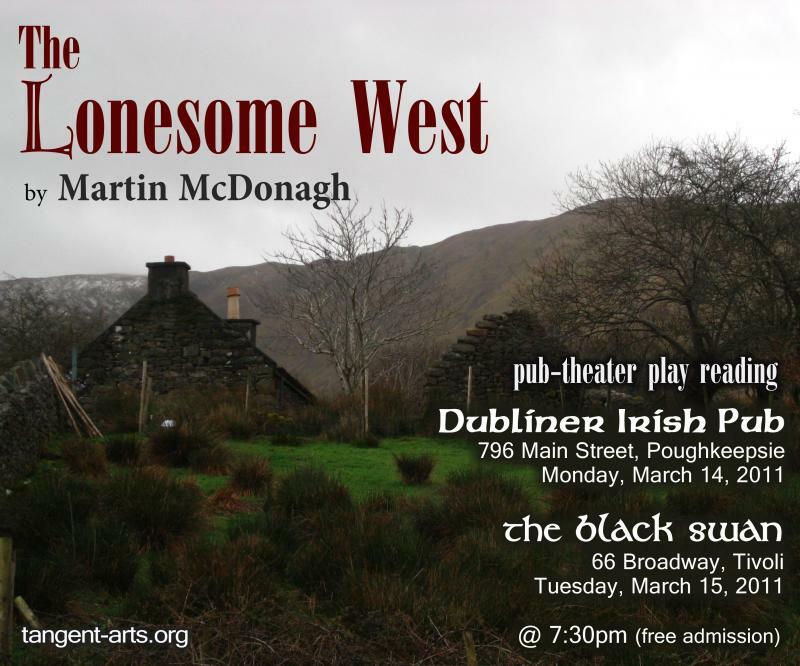 Since then, we’ve produced and read a number of contemporary classic plays and original works. 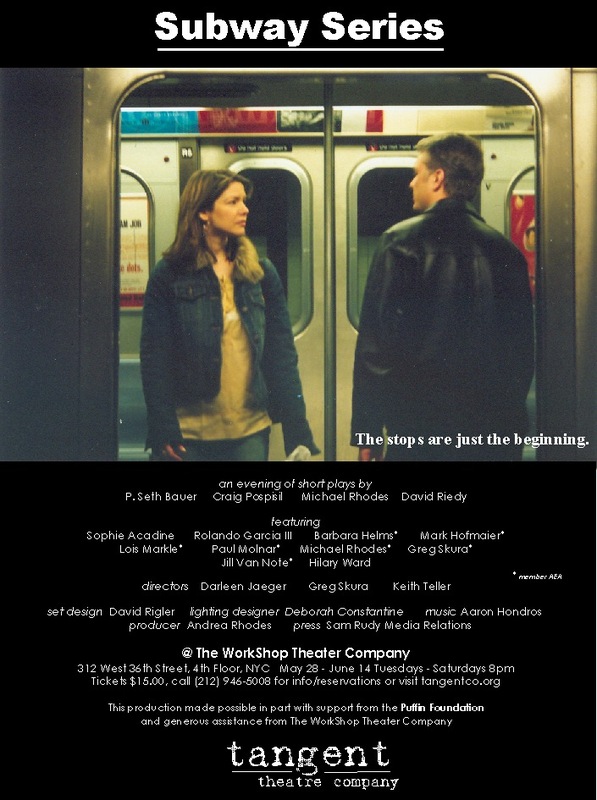 Main-stage productions include Circle Mirror Transformation by Annie Baker, Lobby Hero by Kenneth Longergan, The Vandal by Hamish Linklater, Sight Unseen by Donald Margulies, The Good Father by Christian O'Reilly (American Premiere), Doubt (a parable) by John Patrick Shanley, The Zoo Story by Edward Albee, wanderers by Michael Rhodes, Subway Series (an evening of one-acts), Quick & Dirty by David Riedy and a 50th Anniversary staging of Samuel Beckett’s Waiting for Godot; Pub readings of Oleanna by David Mamet, ART by Yasmina Reza, Body Awareness by Annie Baker, The Beauty Queen of Leenane and The Lonesome West by Martin McDonagh, Sight Unseen and Dinner With Friends by Donald Margulies, Closer by Patrick Marber, American Buffalo by David Mamet and Lobby Hero by Kenneth Lonergan...to name a few. 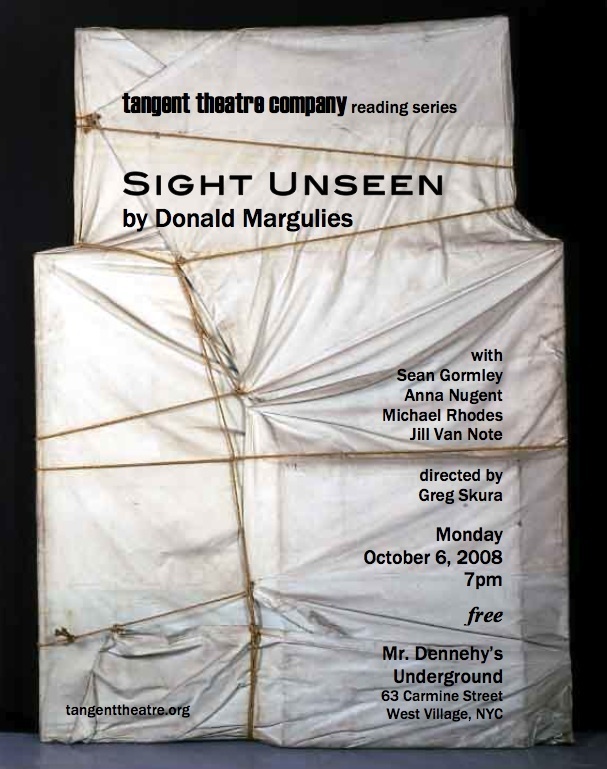 Rooted in ensemble-oriented theatre, Tangent looks for plays that resonate with company members -- examinations that delve into the human experience, that personally incite and motivate us as a group and, through these inspirations, reach and challenge our audiences on a gut level. 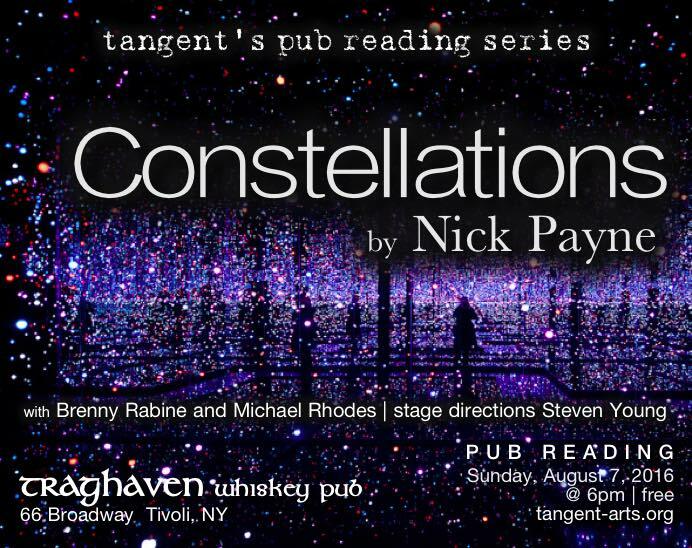 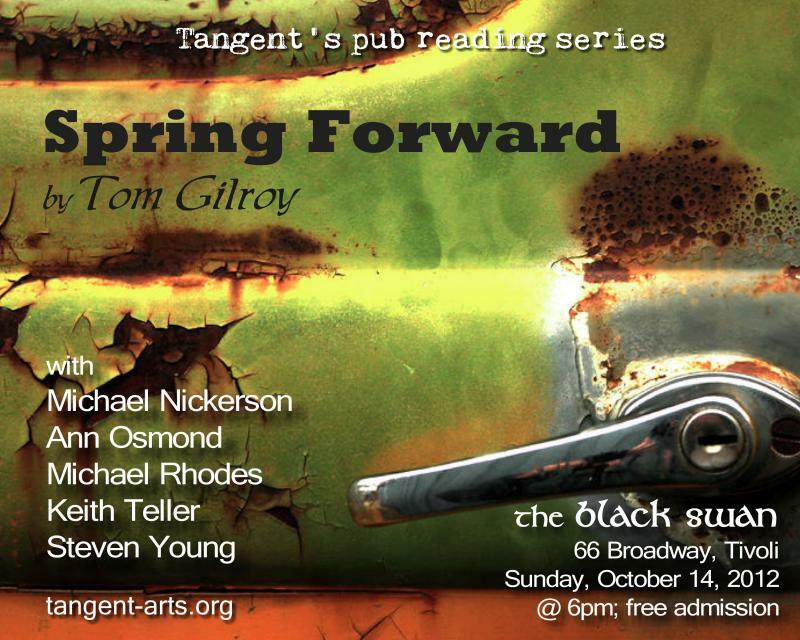 Whether existential rumination or kitchen sink drama, observational comedy or a series of interconnected one-acts, Tangent presents stories that center on character and seek the deeper truths. 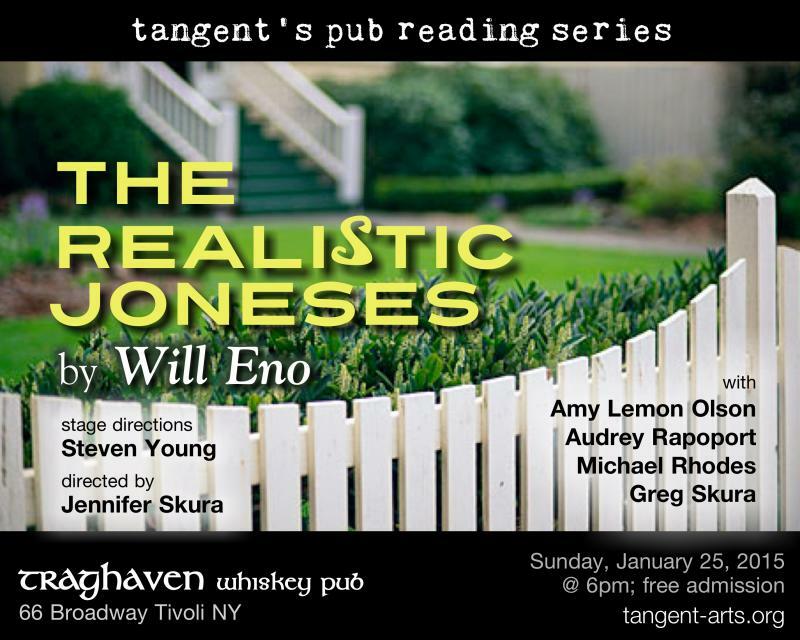 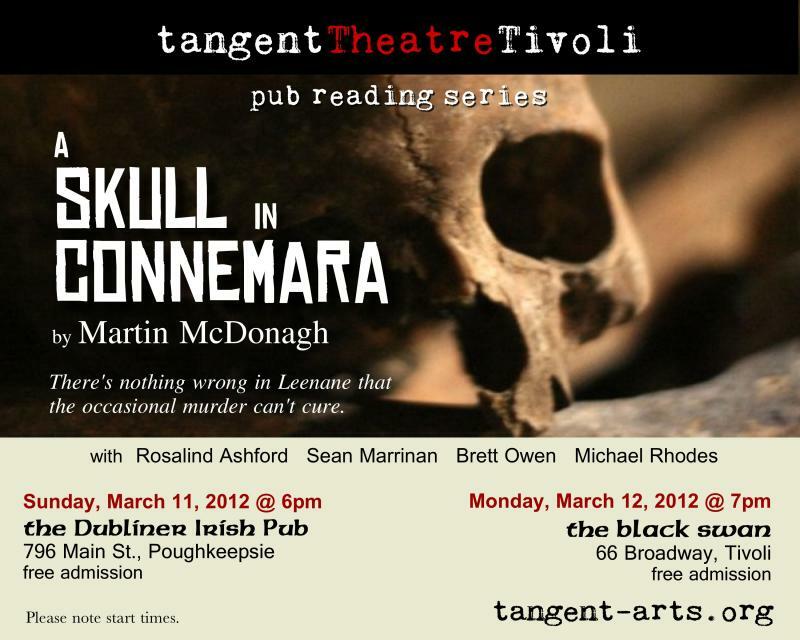 Tangent mission: Tangent presents character-driven plays that explore the complexities of relationships and behavior. 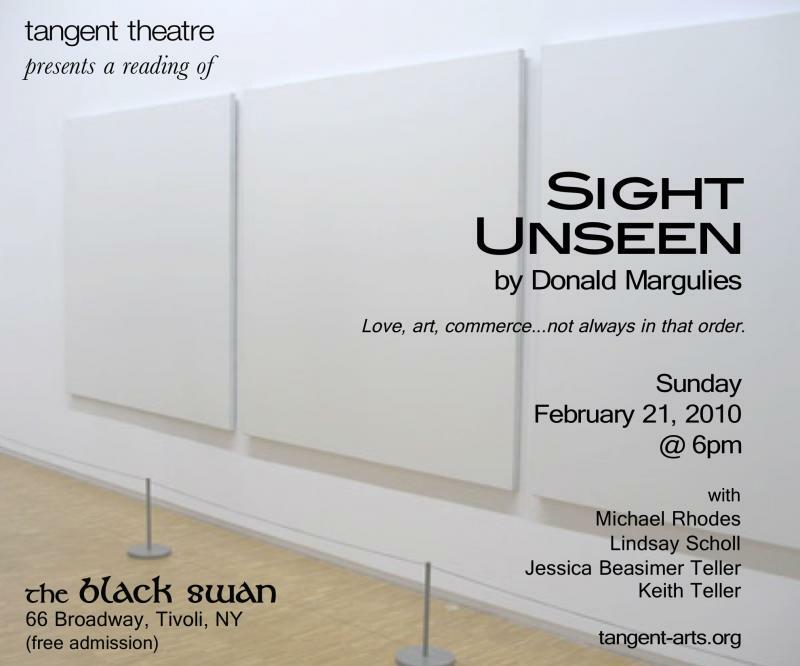 Tangent produces revivals and new works that are personal and heartfelt to the company, and speak to the group’s core philosophy: truth is the motive. 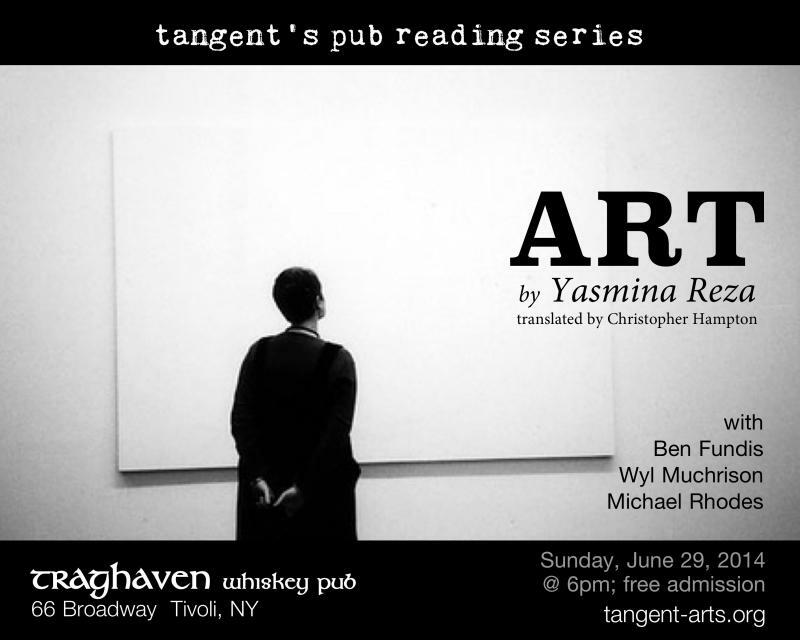 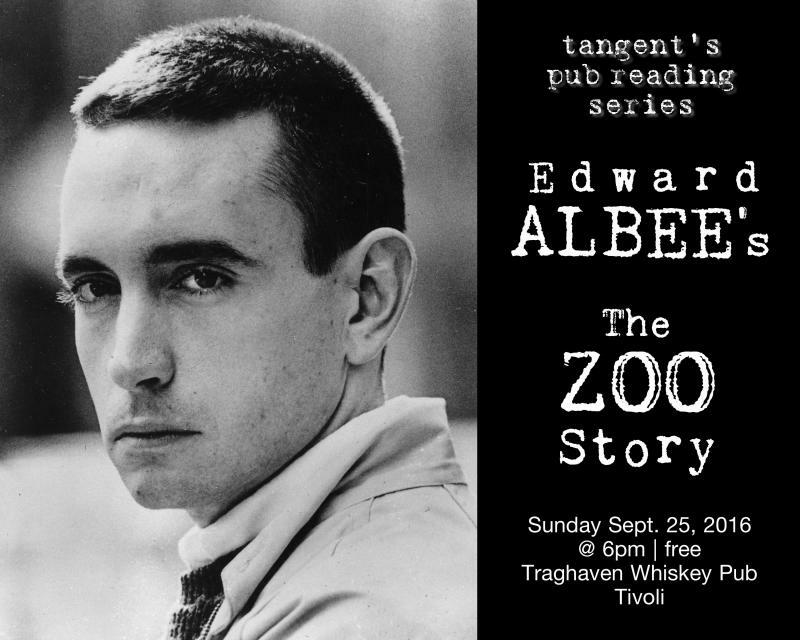 To read more about our pub-readings, click here.